Invisalign is a modern approach to straightening teeth, acting as an alternative to traditional metal braces. Misaligned or crooked teeth look unsightly, can cause difficulties with eating and cleaning, and have a negative effect on many people’s self-confidence. Luckily, all of these problems can all be solved with the Invisalign treatment. The innovative process uses a custom-made, virtually invisible aligner to gradually shift your teeth into their correct position. Read on to learn more about the treatment and how it could benefit you. Once you and your local Mindarie dentist are sure that Invisalign is the right path for you, they will begin by mapping out a unique treatment plan based on 3D imaging of your mouth. This includes predicting the precise movements of your teeth over time and how long the process will take. Your custom-made aligners will then be made out of patented SmartTrack material, and you’re ready to start correcting your smile. Invisalign users report that their aligners are barely noticeable to friends, family and colleagues in contrast to obvious, unsightly traditional braces. In addition to this, you can remove your aligners for short periods whenever you want, so if you have a big event or celebration coming up, you can be sure to look your best. The process usually takes only 12 to 24 months to work its magic, in comparison with up to 5 years for traditional braces. Any other braces that use brackets can cause some discomfort and mouth sores during use. When it comes to aligning your teeth, tightening traditional braces can also be a painful experience. 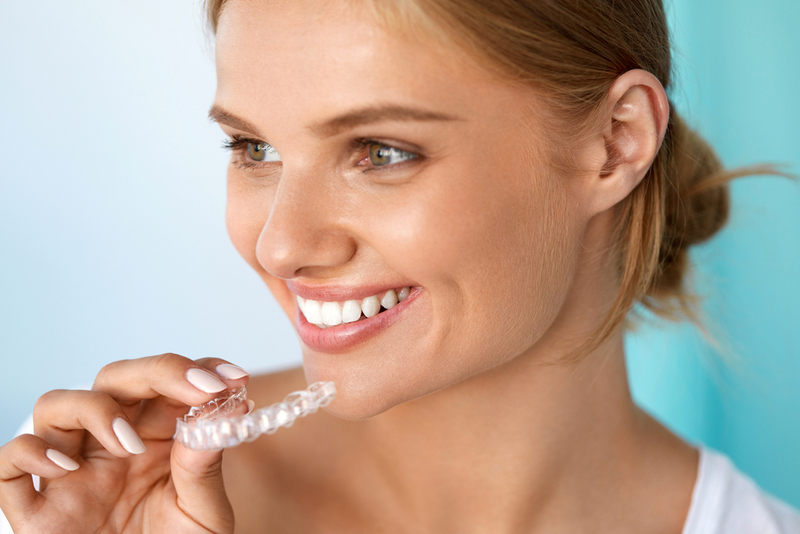 An Invisalign tray is comfortable, removable and perfectly designed to fit your mouth. With Invisalign, your dental treatment no longer has to affect your diet – eat all the crunchy or coloured foods you want! Being able to remove your tray easily means you can still follow your usual brushing and flossing routine. You can also remove Invisalign while eating to prevent food debris from getting stuck in your aligners. Because the Invisalign process is entirely computerised, the movement of your teeth becomes predictable. This means there’s no more guessing about how long changes will take or whether the desired result can be achieved the majority of the time. While the Invisalign treatment is appropriate for many patients, it may not be suitable for all circumstances. Depending on the type and severity of your misalignment, your age, and your commitment to the treatment, Invisalign may or may not be the best approach for you. Luckily, you can get the answers to all your Invisalign questions by talking to your local dentist and assessing your individual circumstances. If you’d like to book an Invisalign consultation with your local Mindarie dentist then call Anchorage Dental now on (08) 9407 7888. You can also visit our online or in Mindarie for more information.